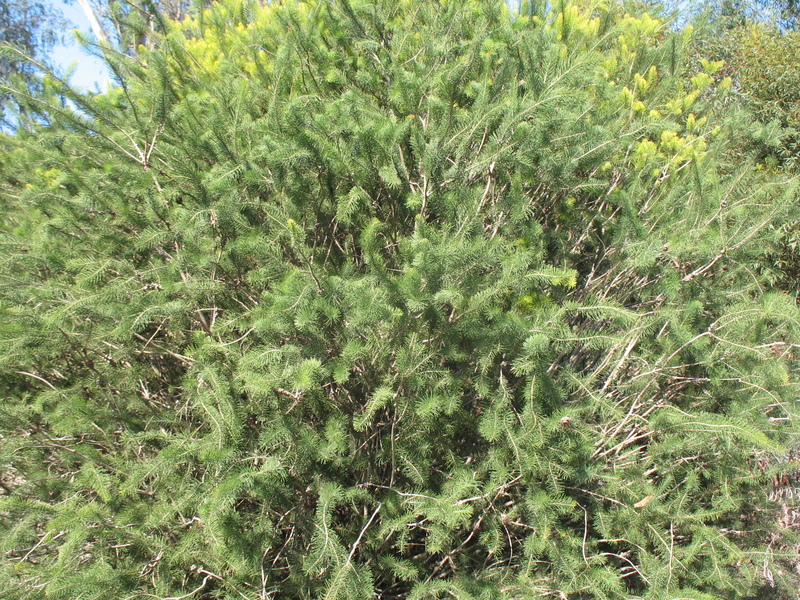 Comments: This evergreen shrub produces pine-like blue-green foliage and attractive red flowers which are in bundles of stamens that grow along the stems of the plant. May require pruning to keep in a desired form. Reported to be quite drought tolerant and suitable for xeriscaping.